You may have seen this floating around on Instagram yesterday, but I've been thinking ahead to Valentine's Day already. To be honest, Valentine's day has always been one of my favourite holidays (surprisingly, as I've only ever had one real Valentine and he only came a few years ago!). I suppose I just love the fact that it's a day that gives me an excuse to give as many random love gifts or encouraging cards as I'd like and tell those close to me how much I love them. Because doing that sort of thing brings me so much joy. 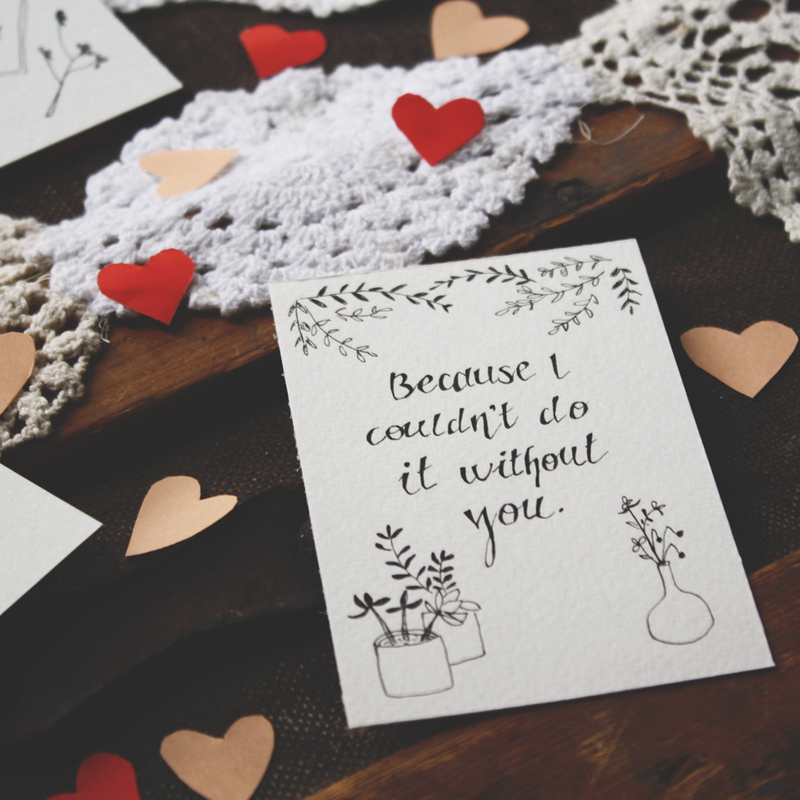 And so, I started designing a few one-of-a-kind valentines, trying to decide what to do with them. And then, of course, came up with a most brilliant idea...secret love notes! And candy grams! And snail mail! If this sounds as exciting to you as it does to me, you can now find a listing in my shop for hand-drawn illustrated cards to send anonymously (or not!) to lovers, friends, and family. 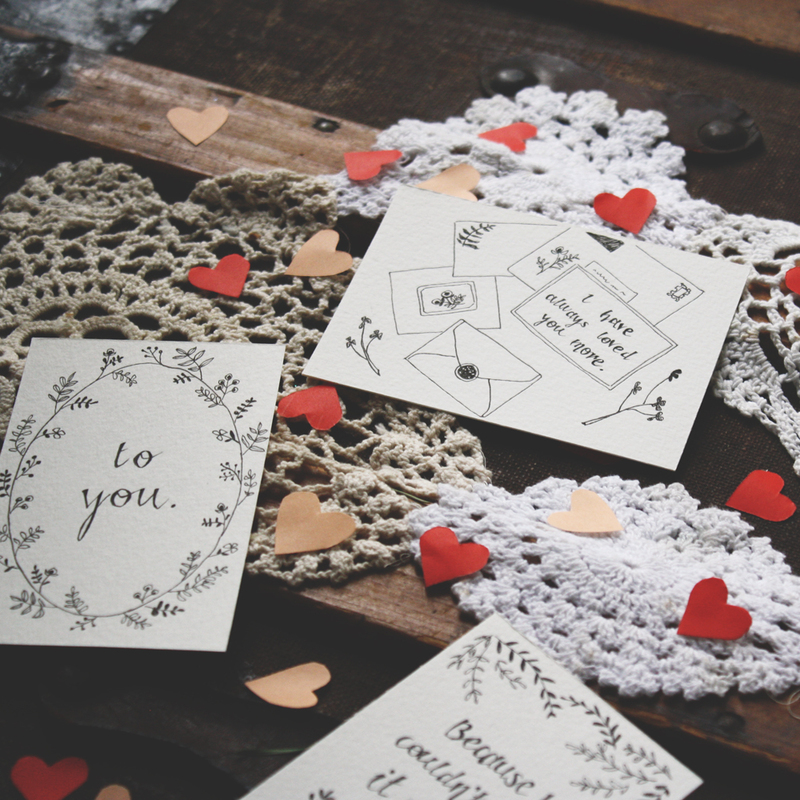 Each one will be unique and created especially for the person you're sending it to. You can choose your quote or theme and if you'd like to attach a little candy to sweeten the deal, there's that option, too. 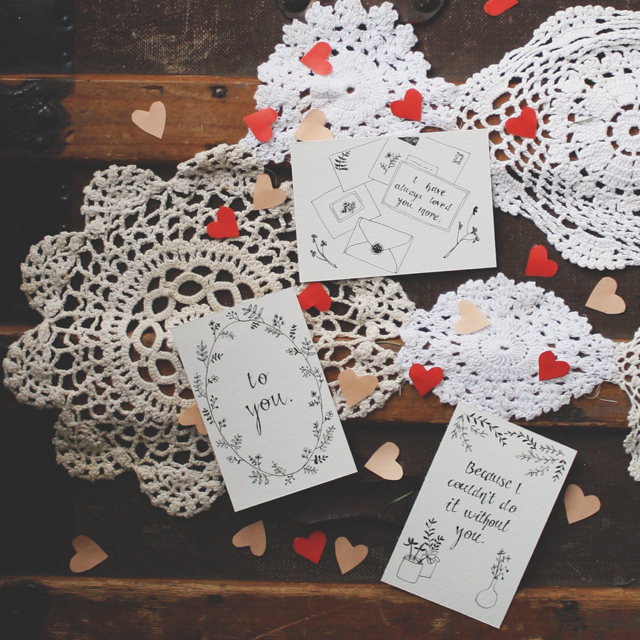 A very special and personalized way to say I love you for $7 /card. Click the link above to purchase, visit my shop or send me an email to jenni.haikonen8@gmail.com.